Drivers are being asked to steer clear of Golden Jubilee Way while the road is cleared after a collision. The A22 was closed this morning after a collision on the southbound carriageway this morning (Wednesday, January 23). 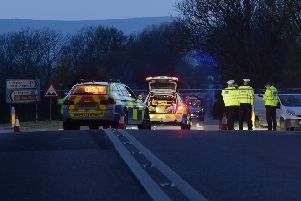 East Sussex Highways said they were in attendance at the scene alongside the police. And a spokesperson tweeted this afternoon, “The specialist cleaning equipment required is now on site and the road is being cleared.